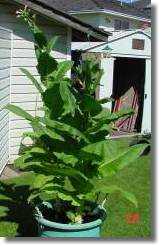 A decade or so ago I had a wish, it was to share my pleasurable hobby of growing tobacco with others world wide. At the turn of the New Millennium my wish came true thanks to the internet, today over 100 countries now grow tobacco from our HAND PICKED sun ripened seed pods grown just for the home grow market. My dream of shared knowledge has also be taken onboard by our environmentally friendly Forum members. It’s OUR Board, for our members hobby, there is no advertising, link’s, spamming, selling allowed (except with my permission) through this forum, Great Isn’t it!!! The seeds on offer are clearly listed as to their uses (Seeds) Take the time to read the options, there are many, all take in account your spending power to it’s best potential. To help you on this score, the orders are sent by first class or Air mail FREE, no hidden P&P charges. Instructions on growing also come FREE with every paid order, they would fill 6 sheets of A4 if type size was correct, postage weight stops this excess of paper. Has it been fun?, you bet it has, the pride of a new venture, interesting hobby, vast amount of friends. In the past few years smokers are being driven underground, (a little like our seeds), banned in public places by anti smoking lobbyist. The pricing structure world wide does not reflect the true cost of tobacco, more a means of raising taxes. Those growing the plants NOW will have the advantage of seed for future years to come, don’t wait until tobacco seed sales are banned. Whilst providing tobacco seeds anywhere in the world, the aim of Plantation House, the home of FREE Smoking, are to bring all tobacco home-growers together, and share knowledge by way of our tobacco forums. This forum is provided FREE from the sale of seeds, your seed purchase will ensure future help is available for everyone. At the press of a button, help is available on the different processes required to produce cigarette tobacco, pipe tobacco, cigars and snuff. All this is FREE. Click your flag at the top of this page for 7 computer translations of this site, our order page provides 200 seeds for as little as £7 = less than 10 US Dollars. The special offer seen top right of the site will give three types of seed, 600 in total for only £13. Shipping by air is included and better still so are detailed instructions with all orders. In just a few years Plantation House has grown from supplying tobacco seeds to the UK only, to supplying tobacco seeds to no less than 82 countries around the world. Our tobacco forums started late March 2002 have even astonished us with a fast growing and active membership, and brilliant, colourful messages and pictures of tobacco plants sent by members (as seen on this page). Most overseas orders for our virus free tobacco seeds are despatched within 24 hours of online payment. E-commerce and the World Wide Web have shrunk the cost of world-wide postage to the price of an overseas postage stamp. See the flags of some countries we have supplied tobacco seed to on our About Us page, due to web space and 59 countries growing our seed, this has been discontinued. We have been featured heavily in the British press. See our press page for some of the articles that have been written about us !! In July 2001, BBC TV News showed some of the processes of manufacturing tobacco and along with coverage on BBC Radio 5, this has greatly expanded our UK customer base. AS SEEN ON TV!! 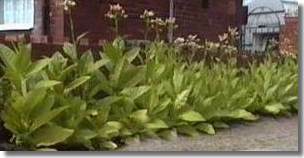 In September 2001, Plantation House were filmed for a TV program about growing your own tobacco plants. The program was shown on Carlton TV in the UK on 7th May 2002. Read about this TV program by clicking here.